Atmosfear | Atmosfear | OK Listen! 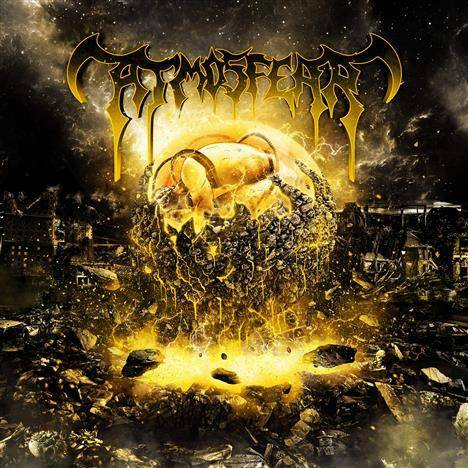 Atmosfear is a 3-piece Death Metal outfit from Mumbai, India, who’ve struck a powerchord in the nation’s heavy metal circuit. In their decade of existence, the band has firmly established its sublime blend of extreme aggression infused with undertones of groove. This is their self-titled debut album. Lyrically, the band is inclined towards weaving words out of experiences from the real world. Tracks such as Slavery Lives, Desolation Defined and Subliminal Memories mirror the strife of suburban life while Obstinate Intentions is about coming up on top against all odds. Abduction of Innocence casts a lens on the agony of a physically-violated victim while Visions of the Beast reminisces the loss of a friend. Socio-political issues are voiced out in Hell Unleashed, Delude and Dominate and Hell on Earth. “Visions of the Beast” is dedicated to Vincent “The Beast” Pereira.